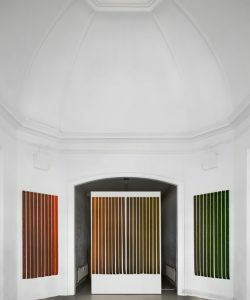 BRADWOLFF PROJECTS Foundation is an experimental platform for contemporary art, established in 2011 by Christine van den Bergh. Contemporary art projects are developed and implemented together with artists and guest curators in close collaboration with art and research institutes. The emphasis is on providing in-depth understanding through a platform focusing on the exchange of information and space for both research and experimentation. Part of this is realized by in situ transformations of the space, which in turn form the context for other makers as a collaborative process. The three central themes are: identity, landscape and ecology, all relating to human behaviour and the way we interact with living environments. These extend to work with a political content and art that creates a strong visual, sensory and aesthetic experience. BRADWOLFF PROJECTS believes that art has an important contribution to make in research on interpersonal relationships and how we in turn relate to our environment. BRADWOLFF PROJECTS organizes conversations and discussions to clarify our zeitgeist and to increase mutual understanding, creating space and enthusiasm for new insights, ideas and initiatives. Discussions between interdisciplinary groups of makers, (PhD) researchers, viewers and the public are indispensable, as are the local, national and international contexts: for example working in collaboration with art institutions in Indonesia, Japan and Colombia. 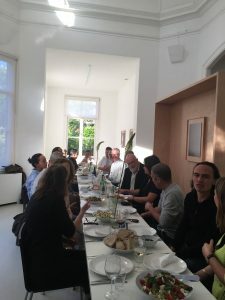 In addition to each exhibition, BRADWOLFF PROJECTS organizes a peripheral public program with artists, including artist talks, artists’ meet-ups, art dinners, lectures, workshops, performances, music events, publications and educational programs. 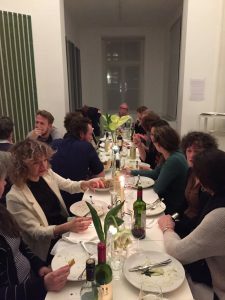 BRADWOLFF PROJECTS art dinners are a recurring part of an exhibition programme. During the dinner, a discussion partner (e.g. a curator, critic or philosopher) talks to the artist about their work, and this broadens to include the other dinner companions. 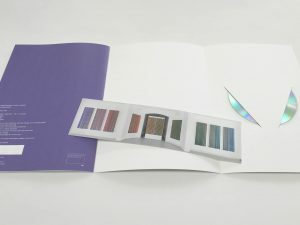 For some exhibitions BRADWOLFF PROJECTS creates special publications / multiples in close collaboration with the artist. 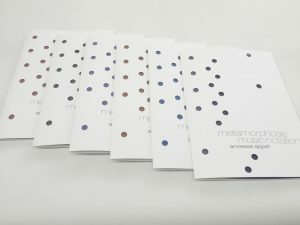 The books also involve a combination of form and content, aesthetics and involvement. Please find a selection below. Metamorphosis music notation, Annesas Appel [edition 100] 2016. Graphic design : Kees Janmaat Selected as one of the exceptional artists’ books from Flanders and the Netherlands at the Frankfurt Book Fair, 2016. BRADWOLFF PROJECTS is a meeting place for the dialogue between artists and students / study programs. They organise (customized) courses and guest classes. BRADWOLFF PROJECTS has accepted the CJP Culture Card since 2017 and in this context has hosted secondary schools (VMBO, HAVO, Atheneum and Gymnasium). Together with the artists in the context of their exhibitions BRADWOLFF PROJECTS organises guest lectures to numerous students from various tertiary educational organisations including UvA, Rietveld Academie, Minerva Academy and Breitner Academy. 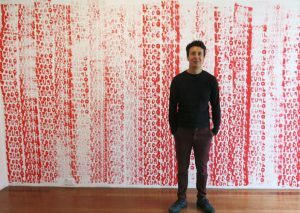 From the beginning, Bradwolff Projects has collaborated with artists on their artistic research / PhD research. 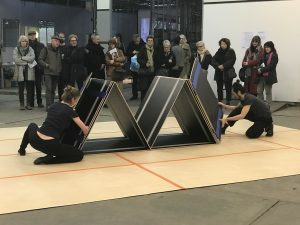 BijlmAIR is the artist-in-residence program of CBK Zuidoost, Bradwolff Projects and the Stedelijk Museum: each year they all invite an international artist to live / work for two months in the BijlmAIR workshop in Amsterdam Zuidoost. All BijlmAIR residents integrate ‘Amsterdam Zuidoost’ in their art projects in one way or another. BRADWOLFF PROJECTS artists, from left to right: 2018 Luis Hernández Mellizo (1978, Bogotá, Colombia) 2017 Aliansyah Caniago (1987, Tangerang / Indonesia) 2016 Kyoco Taniyama left (1972, Aichi, Japan) pictured. BRADWOLFF PROJECTS has had its own exhibition space since 2014: the attractive domed space of the surgery building in the former Burgerziekenhuis in Amsterdam Oost. The building has symmetrical halls and is very suitable for clear, focused presentations. Its location in a quiet, public courtyard has made it a special meeting place of local residents, city dwellers and art lovers from home and abroad. The direct connection between the exhibition space inside and the outdoor garden environment is unique and is widely used in both the mediation programme and the artists’ presentations. BRADWOLFF PROJECTS organizes a large part of its programming at its own location. However, in consultation with artists, curators and organizations, Bradwolff Projects also has a nomadic programme and presents work by artists at home and abroad, including Intersections, Art Rotterdam, New Dakota, Amsterdam and Lewisham Arthouse, London.